I have three babies. My actual baby, and then two books. Jennifer, Gwyneth & Me—baby number three—is on stands… today! I can’t believe it. This book feels like it’s been such a long time in the making. When I first handed it in, I thought it would be in stores in January 2014. Then I was told March. Then June. Then July. If you ask me, there couldn’t be a better pub date for this book than July 1. It’s light, fun beach reading (don’t believe me? Self, Cosmo and Shape.com all say so!) and out just in time for the holiday weekend. I couldn’t be happier. I hope you will grab a copy today. Throw it in your purse (at only 256 pages, it’s light, I promise) and by the time you finish reading you’ll be channeling your inner Beyonce. Also! 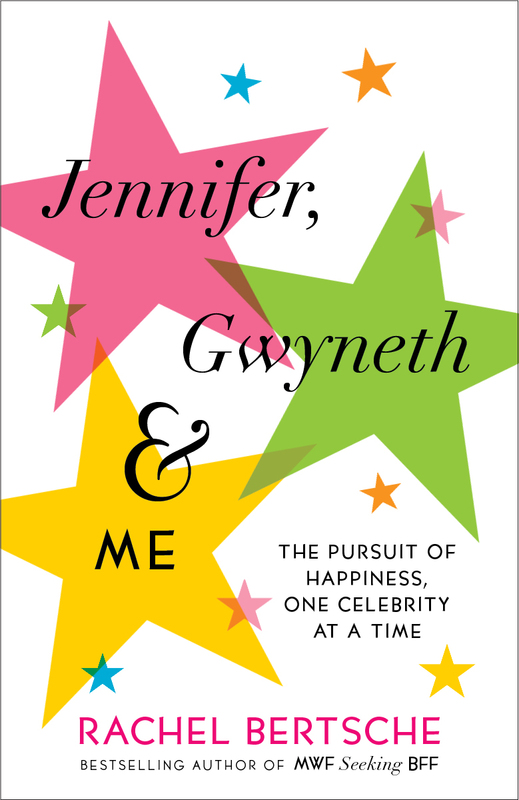 I’ll be on Good Morning America this morning talking about the book and what it was like to live like a celeb for eight months (or, at least, try to). It’s my first national TV appearance and there should even be an 11-month-old special guest. I’d be so grateful if you’d tune in, or set your DVR. Finally, in case I don’t say it enough: THANK YOU all for your unwavering support of this blog, MWF Seeking BFF, and now, Jennifer, Gwyneth & Me. It means the world to me. Thank you. Seriously. Congrats, watching GMA right now………looking forward to reading your new book. Read MWF Seeking BFF and loved it. :). Happy book birthday! I thought you did great on GMA. Now I’m even more excited to read your book, which fortunately arrived today – just in time for my 4th of July vacation this weekend. Congrats!